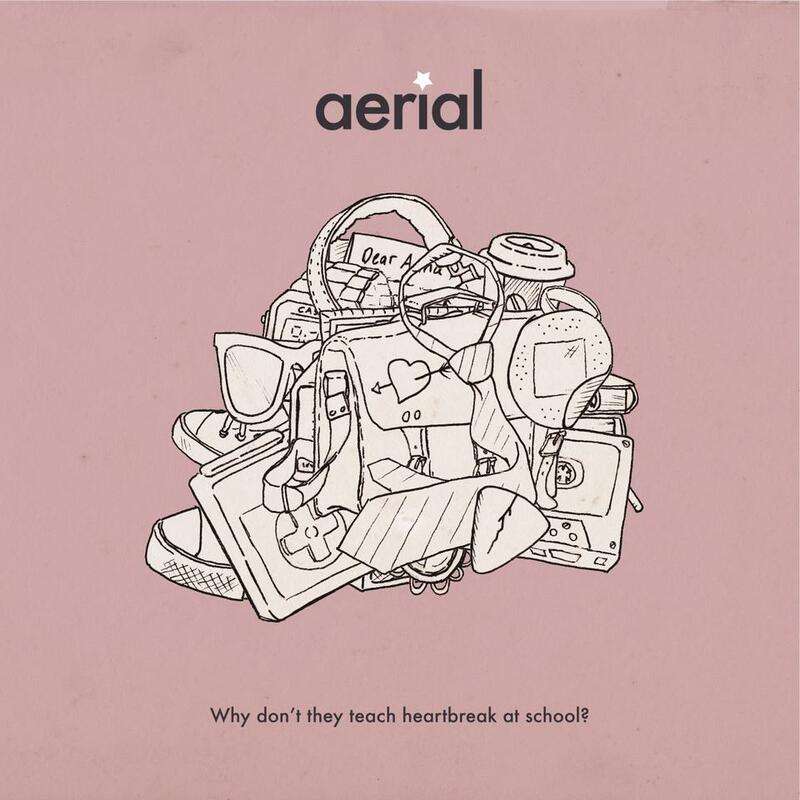 CD Review: Aerial, "Why Don't They Teach Heartbreak at School?" But once in a while you get lucky and it is the former version of surprise that greets you, and I’m happy to say that Aerial’s Why Don’t They Teach Heartbreak At School? pulled a neat little trick on this reviewer. What do they say about a book and it’s cover? The same could go for CDs. This CD cover is very pink, and the line drawing of typical school locker detritus is highly stylized. You’re almost forced to believe this is going to be another in a line of synth-driven, very off-putting neo-pop acts that are flooding the indie market lately. Or you’re expecting a cold, twee sound that refuses to draw the listener in, holding everyone at distance. Nope. This is power pop, and darn good power pop at that. The opening “Cartoon Eyes Cartoon Heart” reveals the misconception quickly, as Aerial is a spiritual descendant of latter day Teenage Fanclub and other bands who have listened to more than their fair share of Alex Chilton over the years. They are not a proxy for the mighty Big Star, mind you, but they recognize the value of a direct sentiment with a good guitar amplifier plugged in. The energy level of the tunes flags a bit on the back end, and there is what now seems to be the obligatory “countrified” tune (“More Than Alcohol”), but the actual songs remain solid. If anything, the album could have stood for a rethink in terms of the track order — all good puzzle pieces, it just needed a second shot at reorganization, in my opinion. Still, by the time you get to the elegiac, closing “Wave Goodbye To Scotland” you have appreciated Aerial’s Why Don’t They Teach Heartbreak At School?, pastel pink cover and all, and that is the best surprise one could hope to have. You can find this album at Kool Kat Musik by clicking here.